So you’re starting your own business, and you have some significant startup costs. And while you’re worried about making that money back, you are at least comforted with the idea that you’ll get a break on your taxes given all the money you’ve spent on your startup. In fact that’s only partially true. 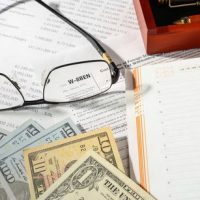 The deductions on taxes that you get can be significant and helpful, but it’s important to understand how and when these tax benefits can be taken. In order to get the tax break, you must actually end up opening the business. If you don’t you may be eligible for other tax exemptions, but not the one designated for startup costs. That means that if you spend money and ultimately decide that the business won’t be feasible and you never make a sale (which the IRS generally thinks of as “opening” your business), you won’t get the benefit. Assuming you do end up opening, you can get exemptions for any business you open, which are formed to determine the feasibility of opening a business. Large companies that need to conduct market research, conduct appraisals, hire investigators, or travel to find out about obtaining product or manufacturing often do this. Expenses to prepare to open your business are deductible. This may include money spent for training, advertising, professional fees (accountants and lawyers), or travel costs. It does not include the cost of buying equipment. Costs related to the business’ organization are also deductible. This may include the costs of lawyers or other professionals who assist you in drafting shareholder agreements, partnership agreements or membership agreements, or who simply advise you about what the best business structure for you may be. It also can include state and federal filing fees, and salaries for any temporary employees. You should keep an eye on how much you are spending on startup costs because the amount will affect your available exemptions. If you have less than $50,000 in costs, you can exempt $10,000 in business startup and organizational costs. However, if you have above the $50,000 threshold, your exemptions will be reduced by the dollar amount that you are over $50,000. If you exceed $55,000, you do not get any startup exemption at all. You are allowed to amortize your deductions. This is good for businesses that don’t expect to make money at first and thus don’t need the benefit of exemptions. When your business does start making a profit, you will still have part of the exemption to use to offset the earnings. Don’t forget to keep great records of all your expenses, because small startup costs can add up quickly. And don’t make the mistake that many businesses do, of intermingling personal and business expenses. It can be easy to whip out your personal credit card to pay for a nominal business startup expense. But doing that could jeopardize your ability to claim those expenses as tax deductions. Get all the legal and tax advantages you can if you’re starting a new business. Contact Tampa asset business and tax attorney David Toback to discuss your business documents and taxes.